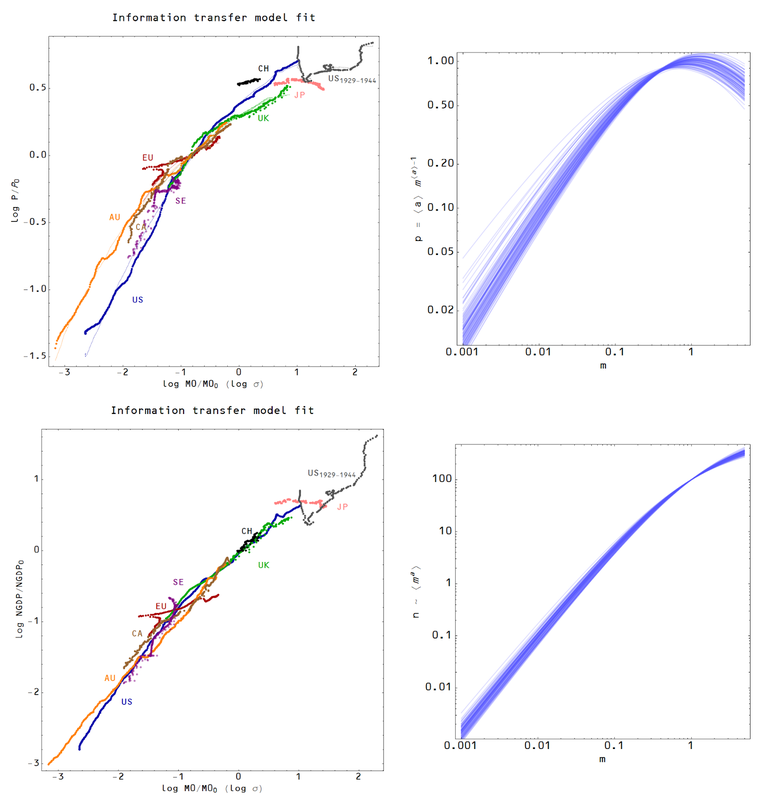 I thought I'd aggregate the price level vs monetary base (which I've shown before at this link) and nominal output vs monetary base data into graphs and compare them with their expected behavior in the information transfer model (using 100 aggregated economies each built from 100 random markets based on the results at this link). 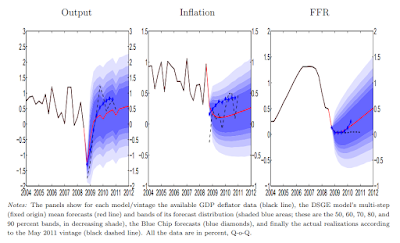 Note that this not only reproduces the relative curvatures of the theoretical graphs, but their variance (the nominal output vs monetary base being a tighter curve than the price level vs monetary base). Another interesting aspect is that the overall behavior only becomes apparent when looking at the time series for many countries. This model unifies "the Great Stagnation"/"secular stagnation" and "neo-Fisherite" models in a larger synthesis. The slowing of economic growth and prolonged low interest rates leading to lower inflation are two facets of the same general behavior of economies. The concept of convergence (smaller economies experiencing "catch-up" growth) also falls under this general behavior. c) A simple trade-able idea behind all this could be to long countries on the QTM side of the chart and short those who are on the upper kink.. expressed through some rates product perhaps. Need to think about that one some more though.. Regarding b) I would say that "status quo bias" in fiscal/monetary policy would lead to a long period of stagnation in this model. Jason, is it possible to analytically calculate or estimate standard deviations at each point (on your theoretical curves)? Yes; I was planning on doing that in order to compare with the data to support my "variance" assertion in the post.